Finally, the sentimental moment has come. As JOMEC will soon move out from the iconic Bute Building, I hope this blog post will stay with our memories of this ever inspiring place and linger in the digital archive. Lectures after lectures, talks after talks delivered at the Birt Acres Lecture Theatre, it is time to rediscover some stories about Acres the person, who the theatre was named after. 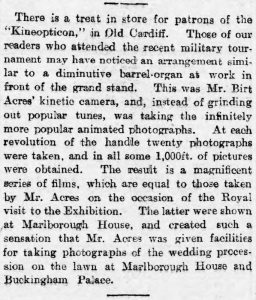 Birt Acres (1854 – 1918) was the first man successfully to project a 35 mm film publicly in England, and quite possibly in Wales too. The American/British photographer, inventor and film pioneer was born in Richmond, Virginia in America to English parents. Acres started to work in London as a photographer in 1889 and met with another British film pioneer Robert Paul in the next decade. After a controversial work relationship with Paul, they soon parted from their short collaboration. Acres then turned his focus to film projection and exhibition, when the technology of film projection itself was part of the main attraction for the general public at that time. Historian Richard Brown has written a more in-depth introduction in “Who’s Who of Victorian Cinema” for Acres’ biography. 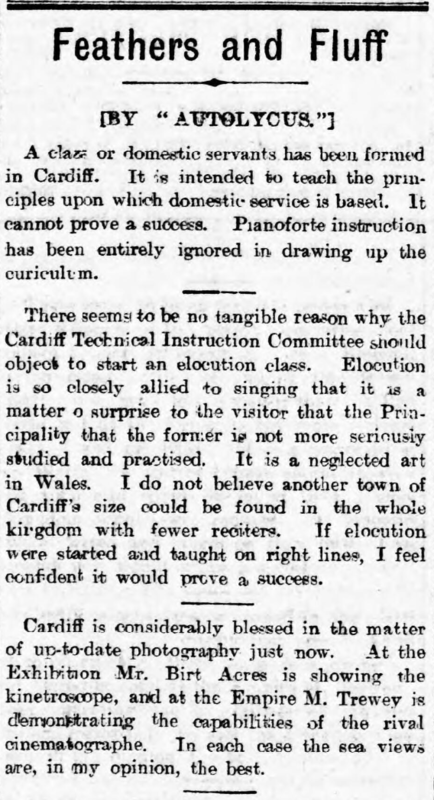 What was Acres’ relation to Bute Building and to Cardiff more generally? This is the first article which reveals the Welsh side of stories. Cardiff is considerably blessed in the matter of up-to-date photography just now. 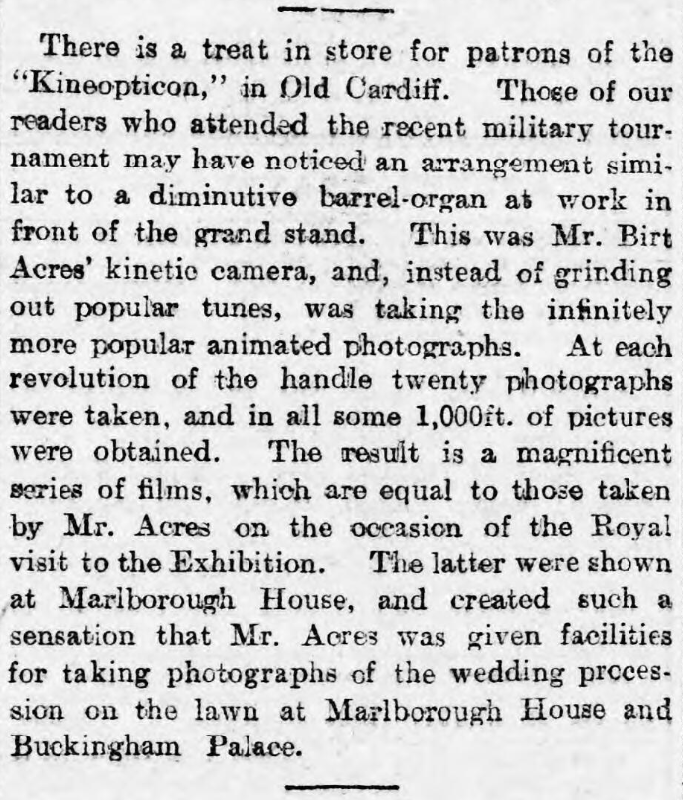 At the Exhibition Mr. Birt Acres is showing the kinetroscope, and the Empire M. Trewey is demonstrating the capabilities of the rival cinematographe. In each case the sea views are, in my opinion, the best (Evening Express, May 13th 1896, p.2). A confusion needs to be clarified here. The memorial plate outside of our Lecture Theatre at Bute Building acknowledges Birt Acres for giving the first public film screening at the Fine Art, Industrial and Maritime Exhibition in Cathay Park, 1896. Because the actual event venue on the plate was not specified, people sometimes may assume the current theatre was the venue which hosted that particular event. 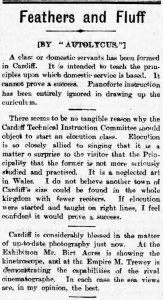 However, Bute Building was built in 1913 and opened in 1916 as Cardiff Technical College, it could not have hosted this event which took place in May 1896. Whether the theatre was named “Birt Acres” from the opening of Bute Building that requires further investigation. However, it is quite possible that the Lecture Theatre was only named much later than Acres’ regular film exhibitions in Cardiff. Cardiff University’s own Institutional Archives would hold some records regarding the naming of the theatre. Unfortunately, I have been trying to contact them since 2016 for the purpose of writing this article with very little luck to get a response. Perhaps others who are equally interested in this topic can continue the historical investigation with additional efforts. 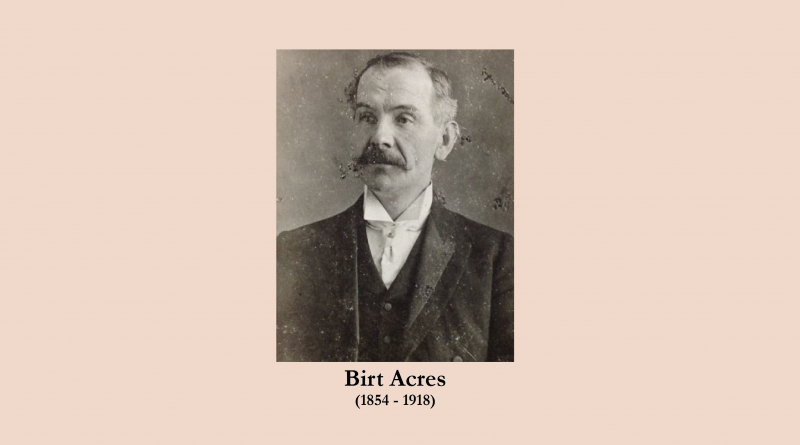 For those who are curious about Acres, The National Fairground and Circus Archive at University of Sheffield currently holds a Birt Acres Collection, which ‘contains a small amount of archival items and artefacts which belong to Birt Acres and his son Sidney Birt Acres’ (University of Sheffield). Apart from our usual lectures and public talks across disciplines, Birt Acres Lecture Theatre continues to be film enthusiasts’ choice as the secret cinema at Cardiff University. It is home to several film festivals and film clubs. Cinema history rolls on, and you shall be missed. ← Broadcasting and Social Media: time for a fresh start?